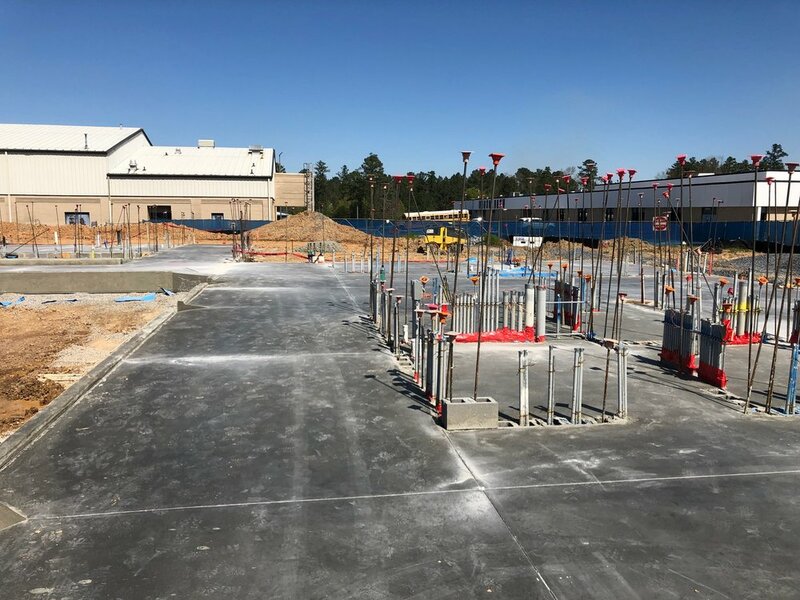 · Slabs sequence 1, 2 and 3 have been poured. 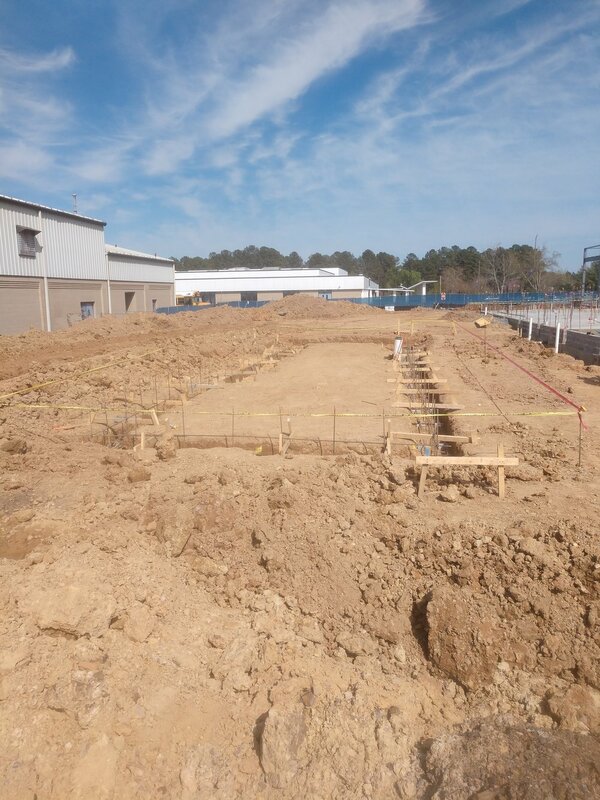 · Main building electrical and plumbing rough complete. · Sequence 1 Steel erection in progress. · Pumphouse is on grade. 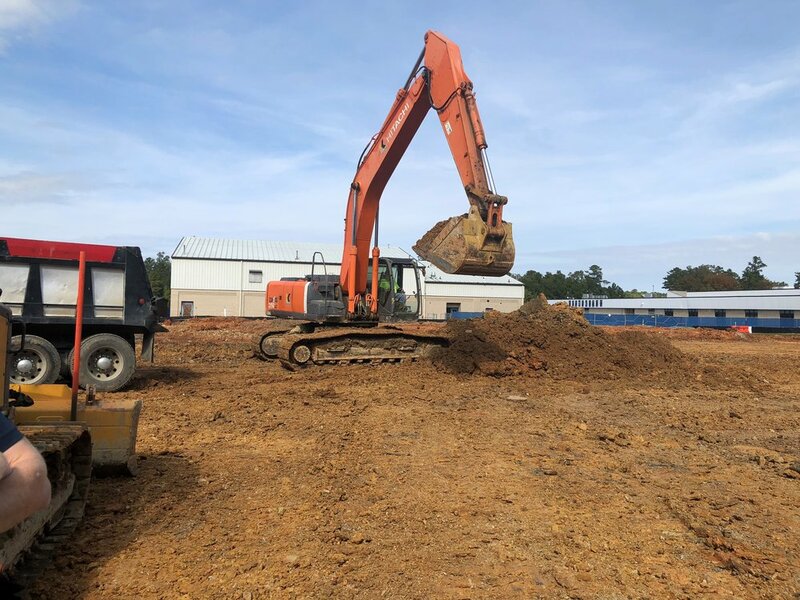 · Batting cage concrete pad is underway. Underground plumbing and Electrical 95% complete. Mechanical Chiller stub up complete and pressurized. All stem walls and footings complete less intentional leave out areas. Gravel Complete for Slab Pours #1 and #2. 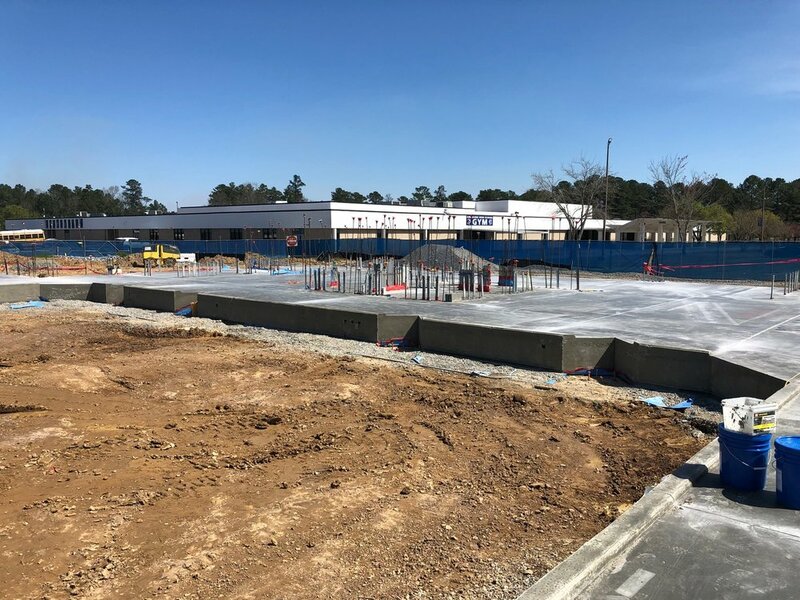 Slab pour for sequence #1 completed on Saturday 3/16. The rain insists on sticking around, and so do we. Despite challenges with the weather, progress has been made. Sequence 3 footings completed on 2/27. Final sequence of stem walls begins this week. Slab preparation has started this week. MEP Slab rough will conclude this week. o Sequence 1 and 2 foundations and stem walls are complete. o Sequence 3 footings underway. o Electrical and Plumbing Rough-in for sequence 1 and 2 complete. 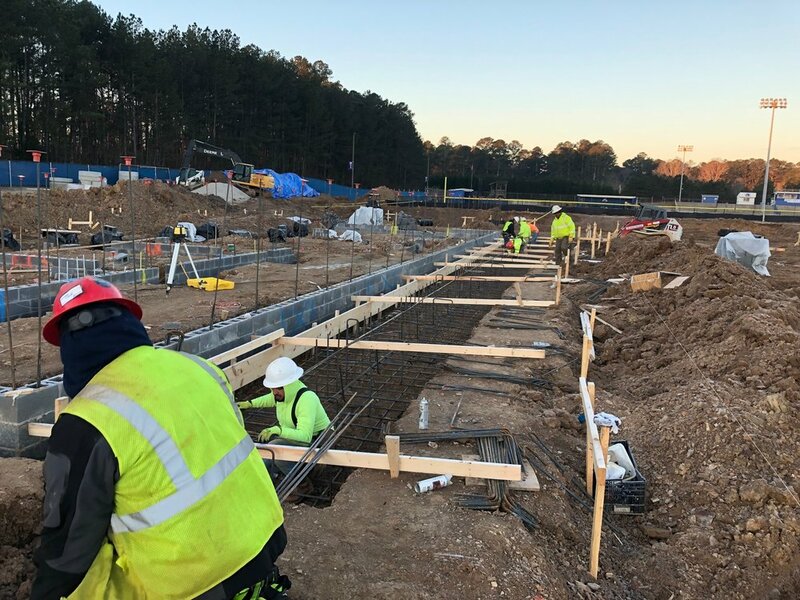 o Bleacher footings underway (2a complete). o Storm system installation ongoing. 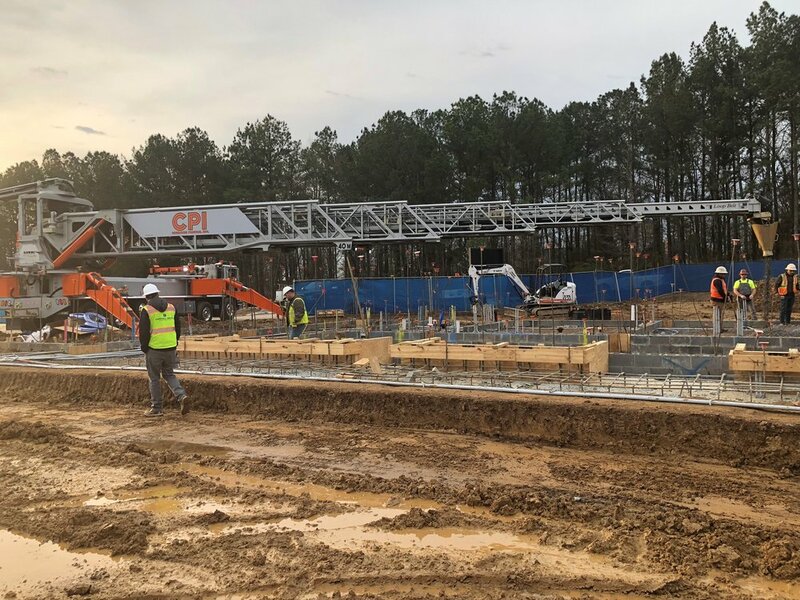 Sequence 1 Foundation block have been installed. 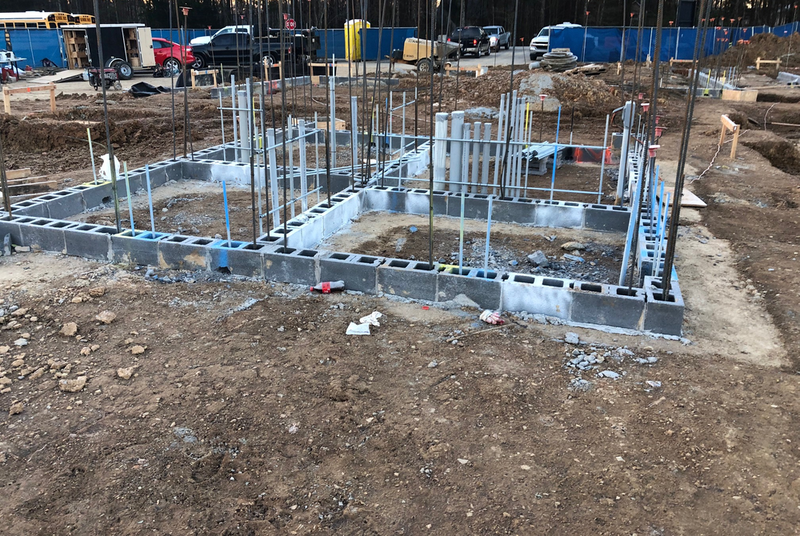 Sequence 2 Foundation Block have been installed. 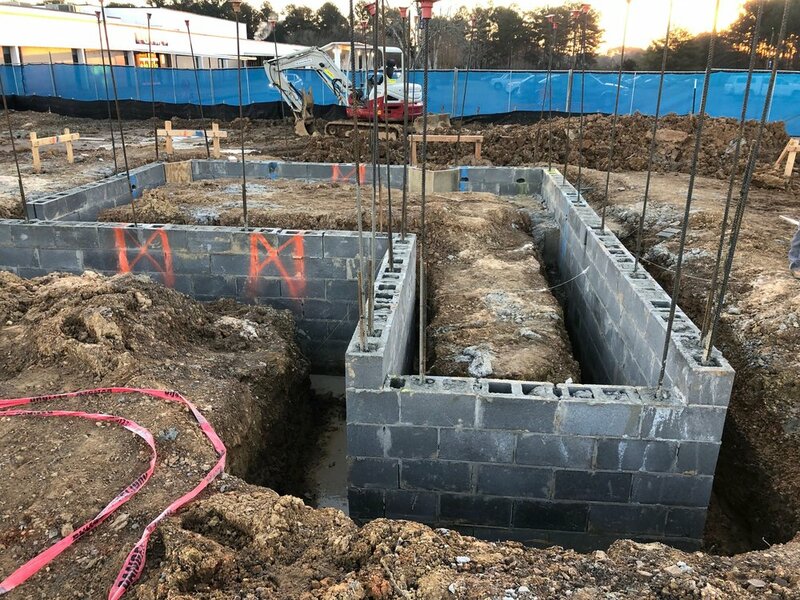 Sequence 3 Foundation Block have been installed. Electrical Slab rough in has continued. Storm pipe installation has continued. Mechanical 4 pipe chiller system installation has begun. After weeks of rain we were finally granted a break in the weather and got a ton of work completed. Sequence 1 foundations are now complete. Sequence 2 foundations are now complete. Sequence 3 and the pump house layout are complete. Electrical Rough in has begun. The storm sewer pipe and manholes have been delivered and have commenced installation. After several days of rain we push on and continue to grade the building pad. Excavation takes place on the gym floor. Fine grading the gym floor. Grading operations underway on the building pad.